Are you planning a wedding in the Chicago area? Congratulations! We know you have enough on your plate when it comes to coordinating your big day, so let National Charter Bus handle the transportation services for you. We offer a variety of services for events big and small, so whether you need a lift from O’Hare, a continuous shuttle service, or a fleet of charter buses to transport all of your guests long distances, we’ve got you covered. Our expert team of reservationists is available 24/7 to help you streamline the wedding of your dreams. Call 312-392-0239 today to learn how! National Charter Bus specializes in seamlessly transporting groups of all shapes and sizes throughout Chicago and nationwide. We will pair you with the perfect vehicle or set of buses to best suit everyone. Planning a small, intimate ceremony, a pre-wedding party, or just need a shuttle for a medium-sized group? We recommend a minibus, which is roomy enough to hold up to 25 passengers per bus yet is compact enough to easily zip through Chicago streets. Do you need larger accommodations for bigger groups? Consider booking a 56-passenger coach. Our most popular charter bus, this option provides plenty of elbow room for guests and storage compartments for photographers’ and receptionists’ equipment. Whether you need a single vehicle, a fleet of buses, or any combination of ride options, we can match you with the perfect rental plan to ensure everyone arrives together and on-time. Of course, your transportation needs don’t begin or end on your wedding day. 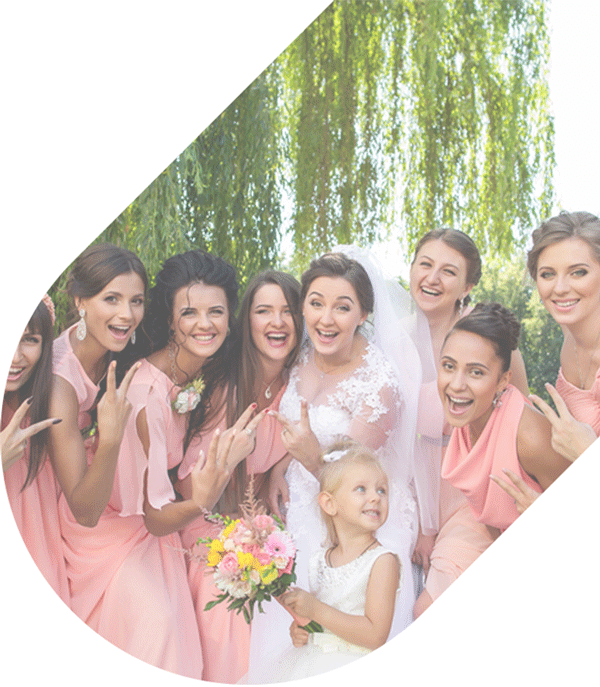 Make sure all of your wedding-related events run smoothly by planning a private transportation service tailored to each event. Are your ceremony and reception taking place in different venues? Your guests shouldn’t have to arrange carpools, assign designated drivers, or chip in to a rideshare service. Instead, assemble a fleet of charter buses to deliver every single guest to your venue of choice on-time and all together. Do your in-laws need a ride from their respective hotels to a rehearsal dinner at the vibrant Carnivale restaurant? Let National Charter Bus pick up your loved ones curbside and ensure their safe travels. We can even establish a hop-on-hop-off nightlife shuttle service for bachelor or bachelorette parties, granting your wedding party a personal tour of Chicago’s hottest clubs and bars with a reliable ride home at the end of the night. We only work with certified, trained drivers, so you can trust these professionals to take the wheel. 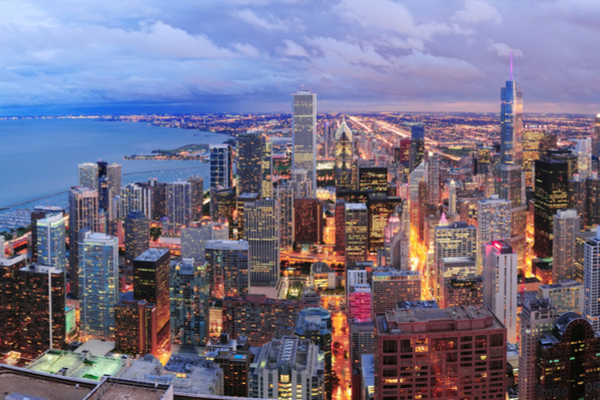 Besides excellent transportation solutions with stellar customer service, National Charter Bus Chicago strives to make each passenger experience that much more memorable with luxury amenities and upgrades. Impress your guests with the comfort of plush reclining seats, extra leg room, and climate-controlled cabins. For a sleek and polished look, request an all-black or all-white bus exterior to match the theme of your wedding. With everyone in the same vehicle, your guests can socialize and share pictures of your event with on-board WiFi, or simply take in the Chicago skyline through panoramic windows. During their bus ride, passengers take advantage of the power outlets and auxiliary plug-ins. Play some music on your bus to get the party started and allow guests to charge their devices and upload pictures of your special day. Everyone will appreciate these added comforts, no matter how long they’re on the road. Ready to book? Simplified transportation services to your dream Chicago wedding await when you call 312-392-0239. We service cities across the country, from nearby cities like Indianapolis to farther destinations like Seattle. No matter your starting point or destination, our team can find the perfect ride for you. Our reservation specialists are available around the clock to assist you with the finishing touches on your wedding plans. Contact us today for a free, no obligation quote!